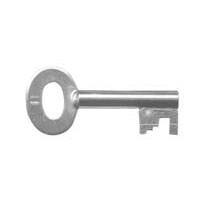 Extra key for supplied Squire 660 padlocks. Additional Masterkey for the ABUS 158/45 Combination padlocks. Extra key for the padlocks above. These keys are cut to match the padlocks. Avoid losing access to your padlock with our range of extra keys to suit a wide range of brands, including ABUS, ISEO and Federal. keys supplied are the standard ABUS Plus Key. These are cut to the specific padlock code you purchased. 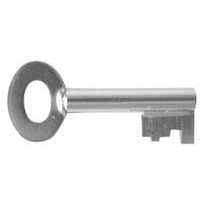 Extra Key for supplied Kasp Padlocks. These are cut to the supplied padlocks only and will not work your existing locks. Additional Masterkey for above padlocks. Extra Masterkey for Papaiz Systems.